Schools are pillars of the modern education system. They are the point of first contact for many kids to the outside world. And, it may not be wrong to say that schooling plays a major role in shaping a child's personality, so it is important that schools have a good infrastructure to closely monitor and manage children's interests, passions, and obviously their academics. 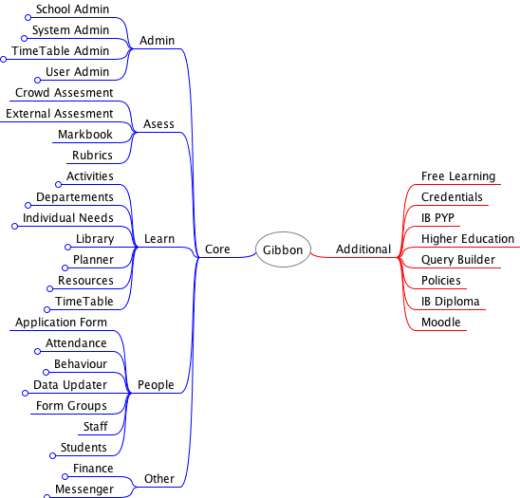 Open source can play a huge role here, so I got in touch with Ross Parker, the creator of Gibbon, to learn how is this management tool is improving schools. The outcome of our discussion was a case study of how Gibbon has helped International College Hong Kong solve the problem of managing data from multi-site records. You might want to read the Ross' article about Gibbon as well. The International College Hong Kong (ICHK) is made up of two campuses and enrolls 800 students from grades K-13. Classes are taught in English, and the focus is on creating vibrant and caring student communities of learning through innovation and practice to fulfill students' potential. "When I started working at ICHK in 2010, I was based at the secondary campus where we had a management system that was really not meeting the needs of students and staff. One of my needs was for something open source so that we could tailor it and contribute back to the wider community. We also wanted something that combined school management with virtual learning, giving us a single system to meet the majority of our needs (excluding productivity, for which we use Google Apps)," says Ross. "After researching the available options, we came to the conclusion that Moodle did not meet our needs in terms of school management, and that the other options were not mature or feature-rich enough. Although the market is now full of options, at that time there was not a lot of choice. Specifically, I was looking for a system to support teachers in planning, delivery, and assessing learning opportunities, with the ability for students and parents to interact with certain aspects of the same data and functionality." "In the end, we decided to take a risk, and attempt open sourcing an older, somewhat limited school system (Muse) for which I was the copyright holder. After stripping back the system, and addressing certain problems in its architecture, we added a GNU GPL v3 license, and started to add in the data structures and functionality needed to define a school. Once we had the necessary infrastructure in place, we started to add functionality. One early challenge was making sure that all functionality in the system could be enabled or disabled for users in a flexible manner, whilst also ensuring the system was ready to integrate a planned ecosystem of additional modules and themes. With this now in place, Gibbon is what we call a flexible, open school platform, capable of being adapted to fit the needs of a wide range of schools." A collection of articles from educators, students, advocates, parents, and more who are implementing open source in education and working toward a more open knowledge base for everyone. Indeed, Ross Parker has done a great job with Gibbon. We have seen the software and were impressed with its tremendous functionality. Although, we at SummitTech are also involved in offering the school management solution, we would like you to check out the features and functionality of our software. Our website http://www.summittech.com.sg/ and do share your experience and scope of further development if any.